Dr. Dave Braun and Dr. 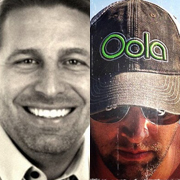 Troy Amdahl are the co-authors of the International Best Selling book, Oola: Find Balance in an Unbalanced World. Dr. Dave (the Oola Seeker) and Dr. Troy (the Oola Guru) are renowned experts in a proper work/life balance. They travel the world, helping people find balance and growth in the “Seven Key Areas of Life”, better known as the “Seven F’s of Oola”: fitness, finance, family, field, faith, friends, and fun. A better “you” makes a better family, a better community, and ultimately a better world. If you are interested in ordering Young Living Infused 7 Oils at wholesale prices or learning more about Young Living products, you can find them Here!